If you have some prearranged material for documentation, you can import it in the project using simple dialog like shown below. 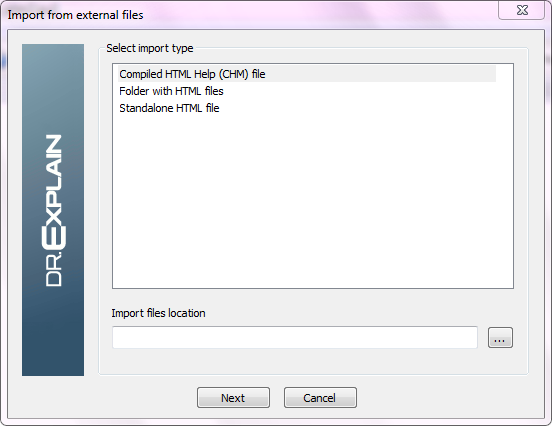 Dr.Explain is able to import from CHM files, folder with HTML files or from standalone HTML file. This program feature can save considerable amount of your time.